►GoTerriers.com has updated its hockey archive and records to include the 2016-17 season. Team USA skates against Sweden on Saturday in the semifinals of the IIHF World U18 Championships, airing on NHL Network at 1:30 p.m. 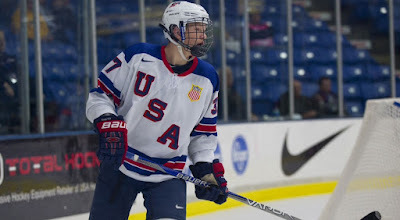 The U.S. squad advanced following a 4-2 quarterfinal win against Switzeland, in which 2017 recruit David Farrance scored the tying goal and fellow 2017 recruit and team captain Brady Tkachuk assisted on one goal and set up another. The 6’2”, 195 lb.,Tkachuk, whose father, NHL standout Keith Tkachuk, starred for BU’s 1991 NCAA finalist squad, is tied for second on the U18s with 25 goals and leads the team in penalty minutes. He is featured in a USA Hockey player profile. 2017 recruit Shane Bowers’ scored his second playoff in Waterloo’s 3-0 win over Fargo to complete a first-round series sweep. Bowers had 51 points (22G, 29A) in the regular season. The win ended the season for fellow 2017 recruit Hank Crone who produced 62 regular-season points (24G, 38A), tied for third in the USHL scoring race. 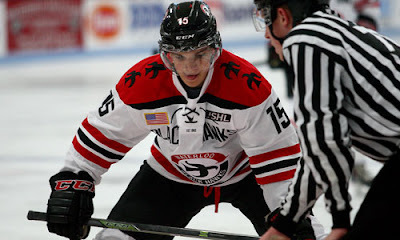 In a College Hockey News feature on Youngstown Phantoms defenseman Michael Karow, the BC recruit was asked who was the hardest forward to play against this past season. A pair of Terrier Hobey Baker Award winners have joined Team USA for the IIHF World Championships. 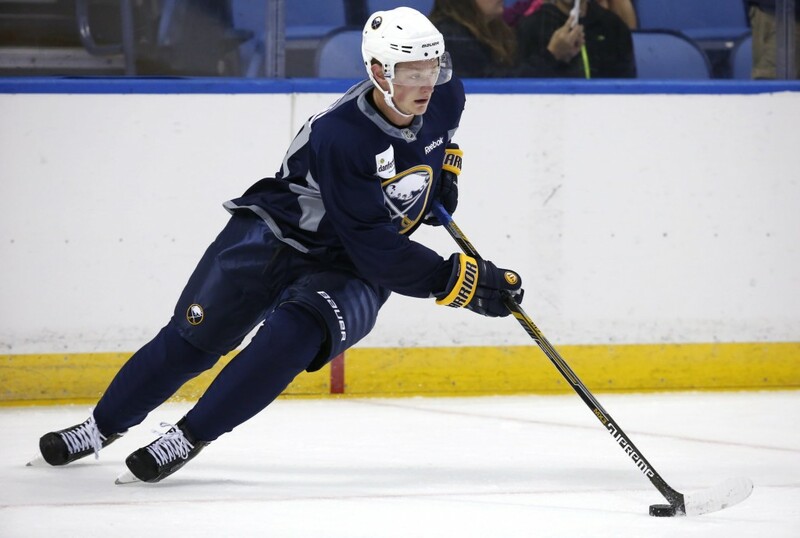 Jack Eichel, who has a career best 57 points in 61 games for Buffalo, joins Clayton Keller and Jordan Greenway on the U.S. roster. Two seasons ago, following his All-American freshman year at BU, he helped Team USA win bronze at the 2016 World Championships. Two-time All-American and current Rangers’ assistant GM Chris Drury has joined the Team USA management team. BU’s all-time goal-scoring leader with 113, Drury was a member of the 1995 national championship team and won the Hobey Baker Award in 1998. Charlie Coyle’s unassisted goal was the game-winner for Minnesota in the Wild’s 2-0 win over St. Louis that prevented a Blues first-round sweep. Only a few days are left in Ice Hockey World Championship 2017. Its is starting from 5th May 2017. Please share a link to Stream USA VS Denmark online and the other updates of this world war of Ice hockey.